"A project born to satisfy the request of the Pagani dealer for Hong Kong "SPS", an incredible car which will be produced only in 5 (five) limited pieces, already all sold and will be street legal. It will be the first Pagani car to be equipped with sequential gearbox manageable both with paddles behind the steering and with the traditional gear stick on central tunnel. 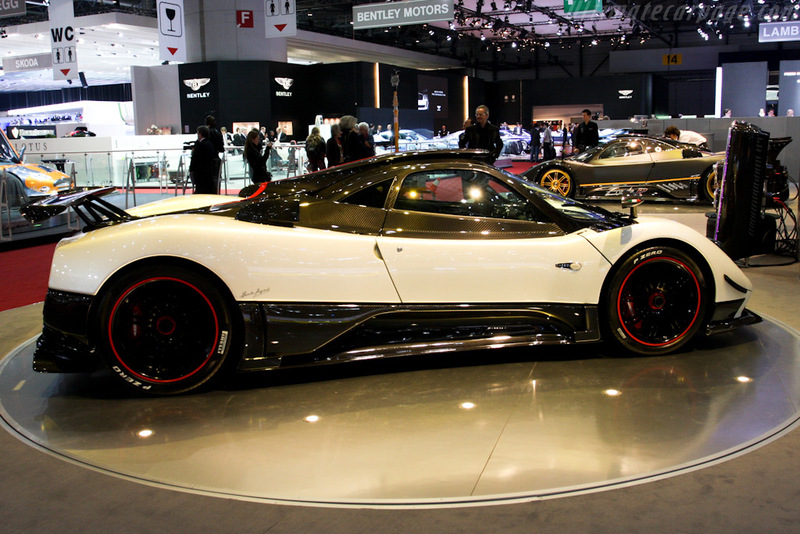 Besides, it will be the first Zonda to use the new Pagani invention, the carbon-titanium, a special fiber purposely created for the Zonda Cinque, which will be eventually used on the new generation models. 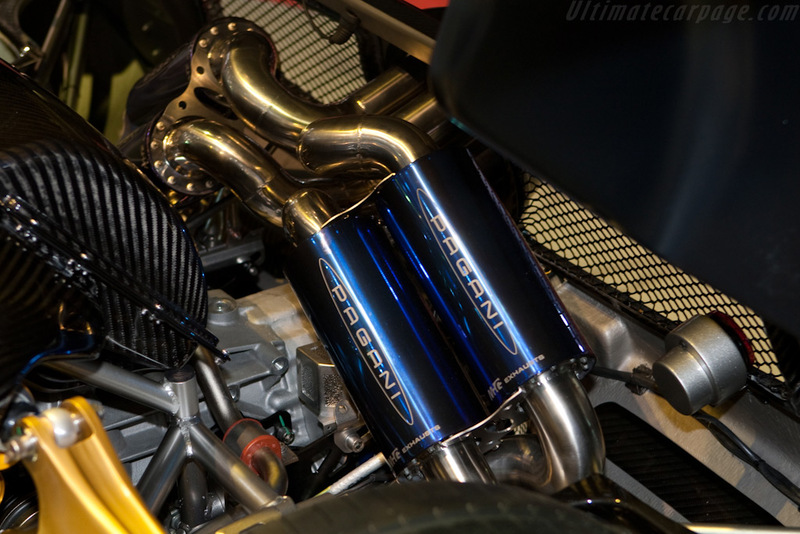 This monster has 678 hp, 780 Nm torque, forged monolock titanium wheels, bolts and nuts will fully be done in titanium and boast the Pagani logo. The interiors are refined and at the same time reveal the sporting attitude of this car. Racing leather seats developed by Toora, 4-points seatbelts and molybdenum steel roll-bars with carbon fiber coating. The Zonda Cinque total weight will be 20 Kg lighter then the F model, will have new Pirelli tyres, with special compounds for the car. The body is equipped with a longer front spoiler, new designed rear wing, central air intake on monocoque, extra air intakes for rear brakes. Flat bottom and new rear air extractors will improve the downforce up to 750 Kg at 300km. 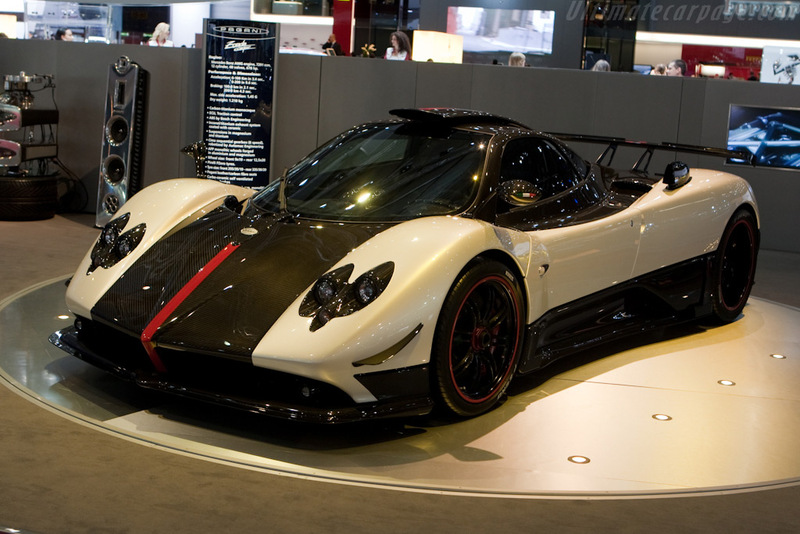 The Zonda Cinque will be a piece of art able to speed over 350 Km/h. A special colour livery will distinguish this unique, exclusive, 1ML Euro + tax model. 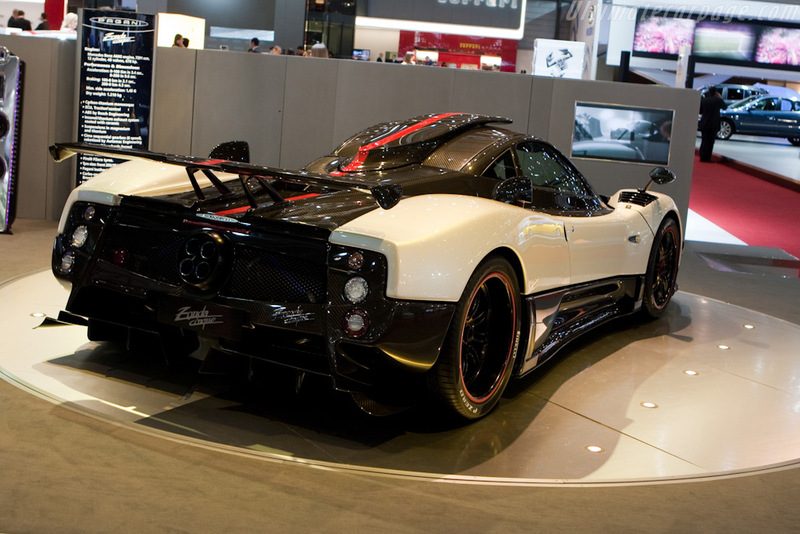 Only five pieces for five wealthy Pagani lovers. " And it's interesting that it's Mercedes AMG power at the heart of this and other exotic monsters. I still can't believe that power was in person at CBI a few weeks ago.